Kayaks: What is the ultimate all rounder? Choosing your kayak carefully will make it possible to experience catching a wider variety of fish in a wider variety of water. JUST like power boats, one kayak won’t always cater for all types of fishing and fishos. So what happens if you enjoy more than one kayak fishing style? You could have a fleet of kayaks, but that’s expensive and comes with its own problems. Or, alternately, own an “all-rounder” kayak. 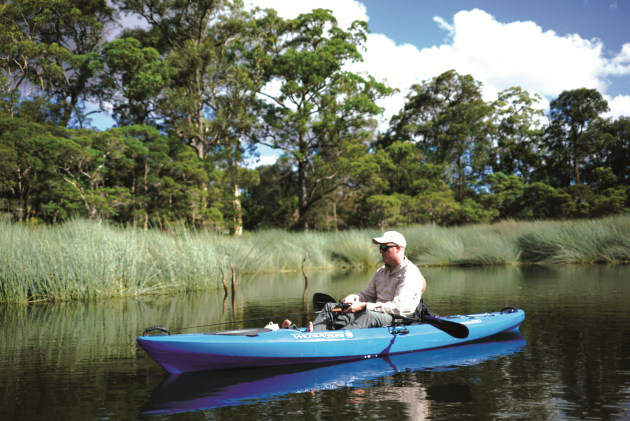 Unlike an “all-rounder” boat, a versatile kayak won’t be perfect for any one style of fishing. There’s always a compromise! 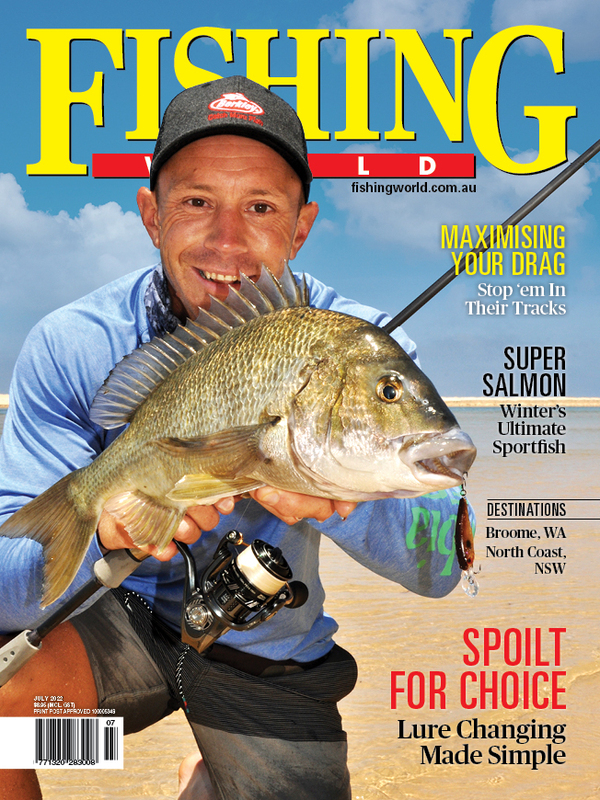 But it will certainly make it possible to experience catching a wider variety of fish in a wider variety of water. Of course there are exceptions; for example, a specialist offshore kayak won’t be ideal in skinny bass water and vice versa. These fishing styles are at opposite ends of the spectrum and you’re probably best having a kayak for each purpose. That’s no different to offshore and small freshwater trailer boats. That said, it is possible to own a kayak that will see you paddling up a tight freshwater creek searching for bass, chasing impoundment natives like yellow belly and cod,and hitting the salt looking for everything from bream to kingfish. Many different factors contribute to the "all-round kayak". So what makes the best all-rounder fishing kayak? I currently have four kayaks ranging in lengths and styles, from short sit-in kayaks, to longer spec’d up specialist fishing sit-on-tops. While the choice is there I keep grabbing my old favourite 12-foot sit-on-top, which is an older model Wilderness Systems Tarpon 120. Why do I consider this the perfect all-rounder? Firstly, it’s light. You can lift, drag and paddle the kayak easily without the extra burden of weight. The weight factor is also important a home. While I have a variety of kayak lifters, which I seldom use, I usually lift the kayak onto the roof solo. After all, it’s a single person kayak, so you should be able to lift and load single-handedly. Heavier, more cumbersome kayaks can risk an injury. A 12 foot plastic sit-on-top, however, can be lifted by most people fairly easily. As a bonus you’ll save money on the expensive lifting devices. Length also plays an important role, and in my opinion, 11–13 feet is a good starting point. This length generally tracks well (paddles straight) and rarely requires a rudder. I don’t mind rudders, but I also like keeping my kayak simple and lightweight. The more accessories, the heavier and more cumbersome it becomes. A kayak of this length also turns easily allowing for greater casting accuracy and fighting fish, not to mention easier lure retrieval from shoreline snags. This can be very frustrating in a long kayak. An 11-13 footer which is not too wide also has reasonable speed. I like this type of kayak to access more remote parts of waterways; a great way to avoid the crowds in estuaries close to a big city. Despite owning another kayak of similar length which has far more bells and whistles, plus stability, I get tired of the hard work required paddling into current, wind and occasional small rapids. Sometimes it seems like you’re almost going backwards. Length also plays a role at home with storage and transport. Not just length is important, so is width. In recent years there has been an increase in high quality stable kayaks. While stability is important in fishing, it can compromise speed and adds substantial weight to the point that kayak trailers are sometimes required. This comes with a few problems, including parking at home or at the fishing location. For many, the reason to use a kayak is lack of space at home. On the flip side, width is great for gear storage and this type of dedicated kayak is usually very comfortable to sit on for long fishing days. They also have better payloads. Saying that, an average good quality 12-footer still has ample storage, in my opinion, and modern seating is adequate. You can always buy more comfortable after market seating. There are pros and cons for each. Sit-on-tops are self-draining, which can be very useful and more safe, while sit-ins are warmer, dryer and offer some sun protection. I like sit-on-tops as I can quickly get on and off and if needed, and can drag them up rapids without the worry of being swamped. Kayak accessories have also become increasingly popular since I started kayak fishing about 20 years ago. There’s a large selection of items such as rod holders, gear boxes, crates and anchors. Modern kayaks often have electric motor drive units and there has been an increase in brands supplying pedal propulsion systems. I like these items, I own far too many and they certainly serve their purpose well, though for me, they don’t fit the all-rounder type kayak which I prefer to keep simple and clutter free. A simple kayak allows it to be loaded and unloaded quickly, dragged across rocks, and even tipped over without losing things. Some kayaks look like small battleships with the large array of accessories on board! Preparation and loading time is also sped up with the “simple”, lighter set-up. This comes in handy for quick trips before work or if the weather turns bad and you need a quick exit. Of course cost plays a big part in anyone’s choice of kayak. The cost of a modern, good quality fishing kayak with all the bells and whistles is getting up there these days. A good quality kayak of 11-12 foot in length from brands such as Wilderness systems, Perception, Viking or Ocean kayaks can often do the same or similar job at half the price or even less. This might even leave some room in the wallet for good quality fishing gear, clothing and safety gear. These are just as essential as the kayak itself. So if you don’t have the budget for the big heavy, cluttered kayak and fish for a variety of species, or want a good reliable kayak which may not get used that often, consider an “all-rounder”.